The U.S. Fish and Wildlife Service (USFWS) has confirmedthat a yearling cow was killed by the Teanaway Wolf Pack on a public land grazing allotment north of Cle Elum, Washington. The cow was discovered on July 16th, 2015. The producer operates under a grazing permit issued by the Washington Department of Natural Resources. The cow belonged to one of seven Washington ranchers currently partnering with Conservation Northwest to implement “range riders”, herd supervisors that help deter depredations as the region’s wolf population recovers and their territory overlaps with public forest land now used in part for livestock grazing. The range rider hired by this rancher and funded in part by Conservation Northwest was working amongst the cows daily in the area where the depredation occurred during the months of June and July. No previous signs of conflict or attempted predation were observed until the dead cow was found. The rancher, Conservation Northwest and state and federal wildlife officials are hopeful that continued nonlethal deterrence methods will prevent further depredations. The Teanaway ranching operation is currently in its third season partnering with Conservation Northwest’s Range Rider Pilot Project. Up to this point, neither the rancher nor any other Washington ranchers participating in the program had experienced any wolf depredations despite ranching in the area of six different wolf packs. Nor have they had to call in the authorities to lethally remove wolves. This is strong evidence that preemptive measures like range riding can help bring about coexistence between people and predators. Despite this record of success, Conservation Northwest and the ranchers involved with the program have consistently emphasized that range riding and other proactive deterrence methods are not always going to be one hundred percent successful. “We’ve had outstanding success with our range rider program to date with all ranchers involved, said Jay Kehne, Conservation Associate with Conservation Northwest and the organization’s Range Rider Pilot Program Manager. Experiences from Rocky Mountain states and Canada have shown that while employing diligent herd supervision is the most effective thing ranchers can do to prevent or reduce conflicts, over time occasional depredations from wolves, cougars or other predators can and will still happen. Such depredations can be isolated incidents that are not repeated, or depredating on livestock can become habitual for the predators involved. 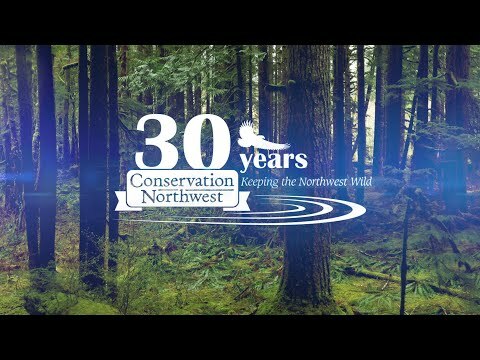 In addition to the partnership with Conservation Northwest, this rancher has a livestock damage prevention agreement with the Washington Department of Fish and Wildlife (WDFW). The WDFW agreement is also designed to implement preventative measures, such as calving on fenced property, using range riders to increase human presence near cattle and removal of dead livestock to avoid attracting wolves. Confirmed as an established wolf pack in 2010, the Teanaway Pack is believed to have five members in 2015, residing primarily in the Okanogan-Wenatchee National Forest and the Teanaway Community Forest. At least two members of the wolf pack are currently fitted with tracking collars to assist scientific monitoring and conflict avoidance efforts. Gray wolves remain listed as a state and federal Endangered Species in Washington’s Cascade Mountains. They have been federally delisted east of Highway 97 and the Columbia River. Though the Teanaway Pack territory contains several cattle and sheep grazing allotments, the pack has never before depredated on livestock. In 2011, the wolves did have an altercation with a sheep guard dog. The dog was treated by a veterinarian, with costs covered by state wolf-livestock compensation funds. Tragically, the breeding female of the Teanaway Pack was poached in October 2015. Researchreleased last year indicates that killing breeding or “alpha” members of wolf packs may destabilize the pack and limit their ability to hunt natural prey such as deer or elk. Such killings may cause previously well-behaved packs to turn to livestock as a source of food.